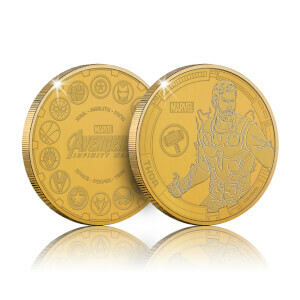 Unique collectable solid metal Marvel Infinity War coins. One of 10 collectable characters in an antique gold finish. 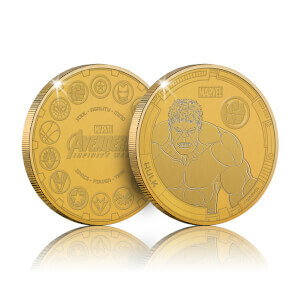 Packed in a clear acrylic display capsule with its own card presentation pack. Limited edition only 1000 produced.